Window cleaning in the Atlanta area can be hazardous at best due to the terrain around a home and the staggering heights on some homes. We take seriously our commitment to our customers to be thorough, efficient and safe. Even though we are fully insured, no home owner wants an accident on their property. 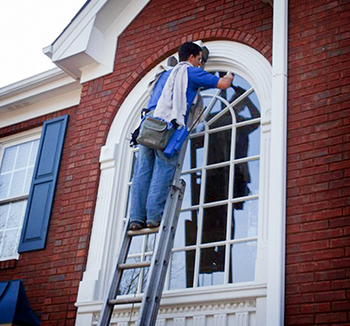 As a quality provider of window cleaning, pressure spraying and gutter cleaning, we come to you. We have customers in Atlanta, Buckhead, Roswell, Alpharetta, Duluth, Norcross, Braselton, Grayson and most of the metro Atlanta area. So give us a call and we will be glad to come by and give you a quote and work hard to gain your business. 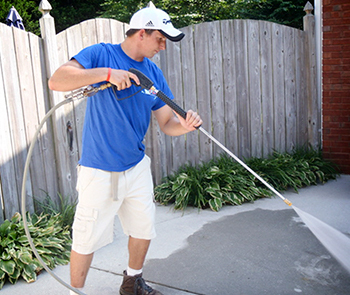 TLC Cleaning has provided outstanding professional and trusted pressure washing services to the Metro Atlanta area since 1980. For our customers, maintaining their home is of the utmost importance, and having trusted professionals in and outside their home is what they have relied on throughout the years. Many of our clients have been with us for more than 5 years, due to our "On Time" policy. We know our clients have busy schedules and don't need to be waiting around for a service company to show up. Our clients rely on us to keep their home free of mold and mildew through regular service maintenance. That means less money is spent on repainting. Our number one service is Customer Service. We proved window cleaning, pressure washing of patios, deck, driveways, homes and much more, but it is because of our excellent customer service that we have great repeat business. We stive to make your home a well maintained showcase by cleaning gutters, pressure washing carpet cleaning and many other services.